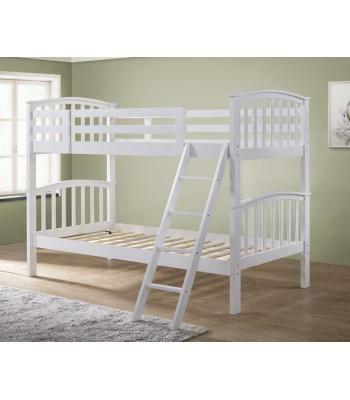 Interiors 2 Suit U provide some of the best Bunk Beds for Kid's at an affordable price. 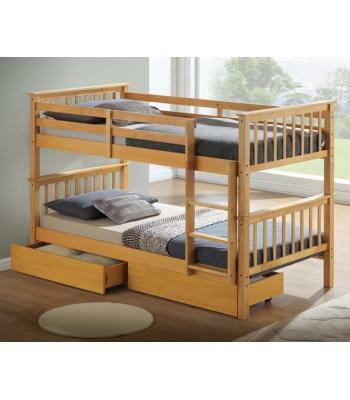 We have a wide range of Bunk Beds, High Sleeper Bunk Beds, Mid Sleeper Bunk Beds, Triple Sleepers and Futons. These are an ideal space saving solution for people with a limited amount of room. 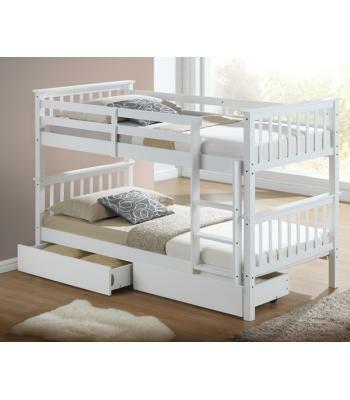 We supply these beds in a variety of finishes, such as white, silver, black, pink, antique pine and natural pine, with all of them being made in stylish wooden and sleek metal designs. 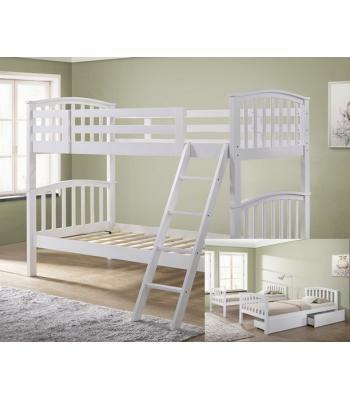 This type of bed is great for almost any room style and are available for both boy's and girl's alike. 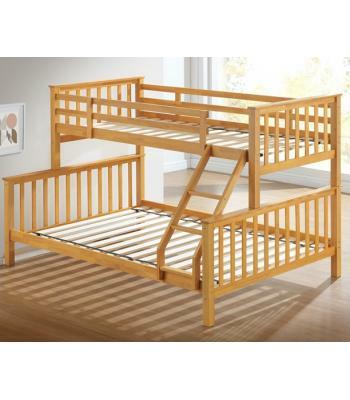 Highly protective, Bunk Beds feature tall side rails and decorative head and foot ends for safety. Our Bunks are available in a range of styles such as High Sleepers, where there is space underneath the bed for storage or furniture. 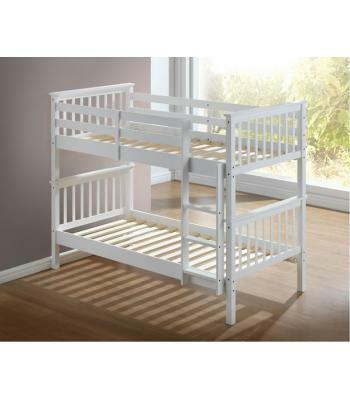 Three Sleepers or Triple Sleepers, where the bottom bunk is replaced by a double bed or a standard Bed, designed to comfortably sleep two with one sleeper above the other. Most of these of these beds can be separated, so that when your children get a little older, they can sleep separately from each other without the need to buy new beds. 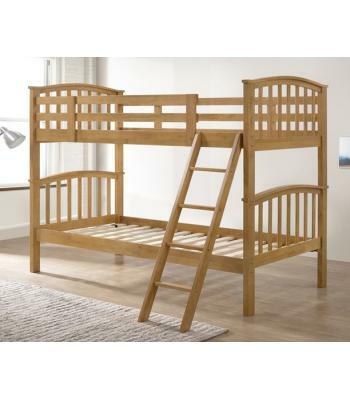 All our bunk beds are sourced from reputable suppliers including, Artisan, Birlea, Seconique, Heartlands, Harmony Beds, Time Living plus many more. 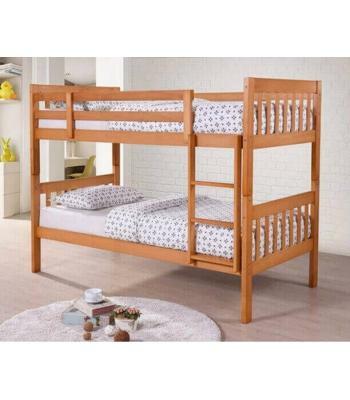 Bunk Beds are also a must for any growing family with limited space and are available from Interiors 2 Suit U with Free Delivery.